Get a taste of the real Cyprus on this food and drink heritage tour from Ayia Napa. Explore the traditions and delicacies with a range of flavour experiences you won't find anywhere else. Visit the popular village of Lefkara in the Troodos foothills for Cyprus coffee and watch a demonstration of lace making and silverwork. 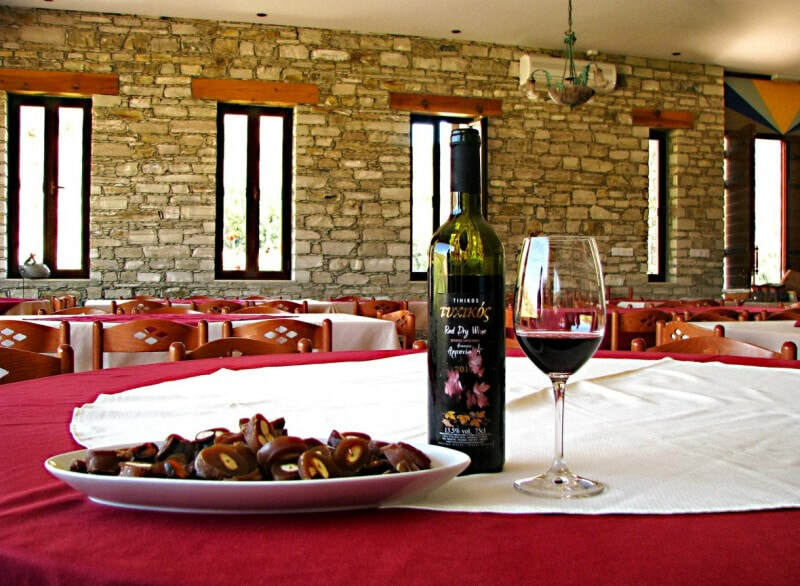 The next stop is the picture perfect Kato Drys where you will visit a winery and sample some delicious Cypriot wines. Here you can also taste the sweet treat shoushoukos, made with grape juice and hung on long strings. Hotel Pick up: ​Starts at 7.30am from hotels in Protaras, Ayia Napa and Larnaka. ​Your exact pick up time will be advised upon confirmation. What to bring: Comfortable shoes, sunhat, sunscreen.